The Bedlam Stacks gets off to an intriguing start – a country estate in Cornwall with exotic (explosive) trees, statues that may move, especially to get out of the rain, and an older brother who is convinced that Merrick, the man at the centre of our tale is slowly starting to go insane. His answer to this? Merrick has two options, the asylum, or occupying his mind by becoming a parson. Merrick hasn’t led the kind of life that would see him adjust well to the latter, having been a smuggler for the East India Company in bygone years, during which time he sustained a leg injury. When the opportunity for escape comes via the India Office, who want Merrick to travel to Peru to collect cinchona cuttings, which are required to make quinine, used to treat malaria, Merrick takes the chance, despite being physically unprepared for such a demanding and dangerous expedition. For other parties have gone before him into this land, and there are tales of gangs and murders and missing explorers. Merrick has ties to this region though, his father and grandfather both visited, so there’s a certain familiarity about it even though he’s yet to venture there himself. After an engaging beginning I found the story a little slower paced as the expedition, including Merrick and his friend Clem and his pregnant wife Minna, set out. I stuck with it though and once they arrived in Peru I was engrossed once more. As the group meet up with Martel, who insists they are accompanied by the enigmatic Raphael, I couldn’t put the book down. Raphael is a fascinating character, and the slow burn way the friendship between him and Merrick develops is great. There’s such an air of mystery surrounding him, about where he came from, and whether his connection to the Tremayne family actually goes further back than this new friendship with Merrick, for Merrick is charged with delivering a letter to ‘the priest’ of Bedlam, a letter written several years before by his grandfather, who also visited Bedlam. Raphael being so much younger, Merrick assumes this letter was for his predecessor, the previous priest. But is that true? Bedlam itself sounds magical, with its great glass stacks which magnify the sun to such an extent it’s possible to burn in their heat at certain times of day, and the mythology and history woven in with a strange truth surrounding the stone figures, or markayuq, who are treated with reverence and respect. The pollen that glows gold, leaving gold trails in its wake sounds magical. It’s all like a fairytale blended with history in a great mixture. Of course, there is death and danger, with the dark forest marked out by a salt border and warnings not to cross at risk of death. People have gone over that line before and never made it back, for something or someone doesn’t want them there. 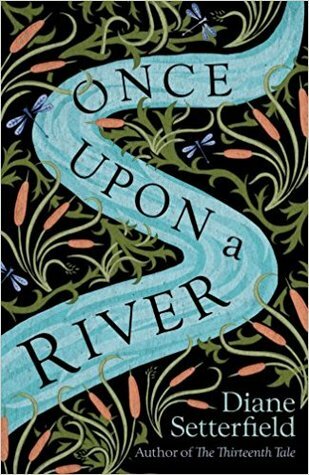 This is a read to savour; historical, supernatural, fairytale and magic weave together seamlessly around the central friendship of Raphael and Merrick. While after that great opening it initially took me some time to fall into this novel, once I had it was a great adventure of a read. The scenes created are magical and wondrous, and there’s even an appearance from a certain character from Watchmaker, which just added to the appeal of The Bedlam Stacks. This sounds like a book I would enjoy – even if the pace slowed slightly mid read.